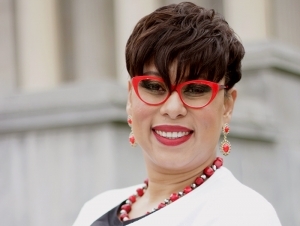 BUFFALO, N.Y. -- Buffalo State President Katherine Conway-Turner announced Tuesday that she has appointed Crystal J. Rodriguez as the college’s next chief of staff in the President’s Office. Rodriguez, who will officially join the Buffalo State community on October 10, 2018, currently serves as chief diversity officer for the City of Buffalo, a position she has held since 2016. As the City of Buffalo’s chief diversity officer, Rodriguez developed the city’s Opportunity Pledge and spearheaded Mayor Brown’s Opportunity Agenda, which focuses on embracing racial equity, diversity, and inclusion and ensuring that opportunities created by the recent economic renaissance in the city can be shared by all. She also led an overhaul of the city’s Minority- and Women-Owned Business Enterprises (MBE/WBE) policies and procedures, and initiated work on the first phase of the Buffalo Empire State Poverty Reduction Initiative. From 2008 to 2016, Rodriguez served as executive director of the City of Buffalo’s Commission on Citizens’ Rights and Community Relations. In this role, she developed and revitalized the department around a mission-focused strategic plan, connecting citizens directly to agencies best suited to address their concerns. She also designed and implemented programs based on social and community climate topics, such as race relations, anti-bullying initiatives, and community-police interactions. In 2007, Ms. Rodriguez started her career in city government as the executive assistant to the mayor, maintaining the mayor’s schedule, fielding invitations for community meetings, drafting internal and external communications for the mayor, and managing secretarial staff in the executive offices. Rodriguez has also held positions as a legal fellow and law clerk for the New York State Unified Court System (2007–2008) and as an adjunct faculty member at the University at Buffalo (2006–2011). She earned a B.A. in social sciences from California State University San Marcos (2003) and a J.D. and LL.M. from the University at Buffalo School of Law (2007).